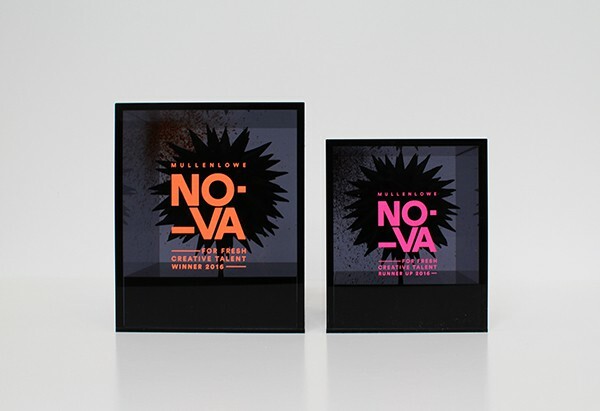 The MullenLowe Nova Awards reflect the diversity of work produced at Central Saint Martins and showcases individuals projects, which have pushed the boundaries of their disciplines. 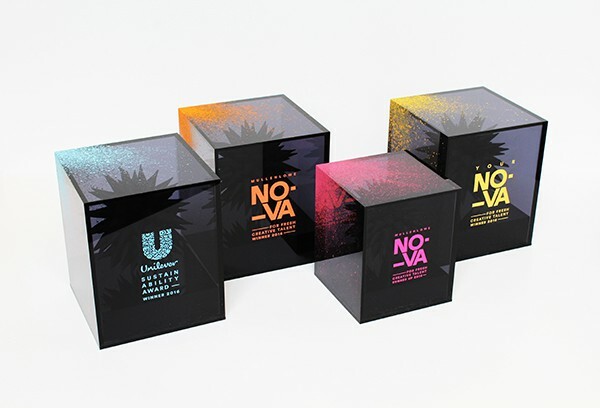 Of the 1300 students to choose from 40 were nominated by tutors with 5 awards available; Your Chosen MullenLowe Nova Award Winner, The MullenLowe Nova Award Winner, two runners up and a Unilever Sustainability Award Winner. 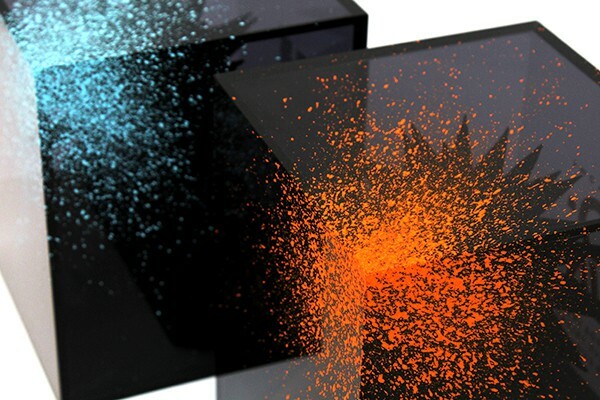 In 2016, Chalk was approached to help fine tune the design and produce the final awards based on the theme of ferrofluid and fluorescent finishes. The final awards consisted of dark tinted black obelisks each splattered with their own fluorescent paint colours. 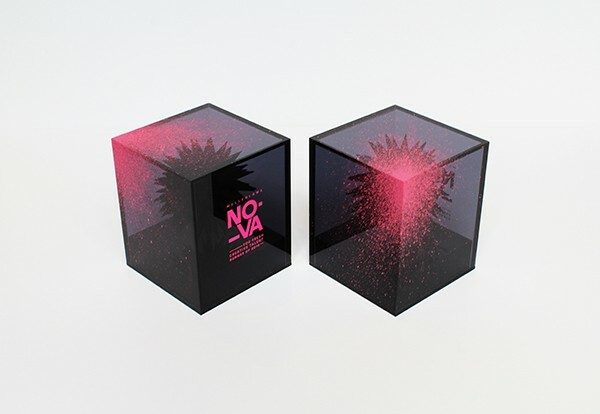 Hidden inside, visible only under a strong light, each award contained a black spiky ferrofluid influenced ball.